To give now, click below. CP Rochester is a 501(c)(3) not-for-profit organization. All contributions are tax-deductible to the fullest extent allowed by law. All contributions are secure and confidential and are processed through the Ability Partners Foundation. Your gift or personal information will never be shared with any other organization, business, or listing. Have your Discover, Mastercard, American Express, or Visa ready and click Donate above. Have your Discover, Mastercard, American Express, or Visa ready and call 585-286-9711 x1323. Make your check payable to 'Ability Partners Foundation' and send to the address below. If you wish to designate your check to a particular program area please indicate so on a signed note. Wondering what to do with your used car, truck, van, motorcycle, or boat? 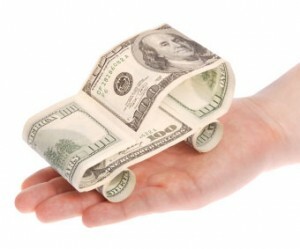 Donating your old vehicle to CP Rochester is convenient, easy, and may qualify you for a tax deduction. Best of all, your donation will make a big difference in supporting individuals with physical and developmental disabilities. Why not donate your vehicle today? All you need to do is to complete our simple on-line donation form or call 1-866-628-2277 and we’ll take care of the rest. We will pick up your vehicle, arrange to have your donation towed (if necessary), and provide you with a tax-deductible receipt, all at no charge to you. Call 1-866-628-2277 or click here for more information. Thank you very much!